E-file IRS Form 990, Form 990-EZ, Form 990-PF or Form 990-N (e-Postcard). Transmit complete 990 returns, resend rejected 990 returns for free. Contact our 100% US-based customer support for help filing Form 990. Need to E-file Form 990? software is the premier choice for e-filing your annual 990 returns. For exempt organizations or nonprofits with gross receipts of $50,000 or less per year, IRS form 990-n (e-postcard) would be the correct form to file. 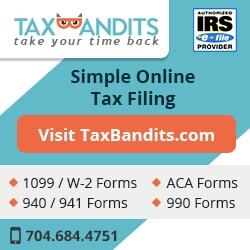 we also offer Form 990-EZ complete with 990-EZ schedules. this tax exempt return is the best option for mid-sized nonprofits. Most tax exempt organizations are required to file an annual report to the IRS. Any tax exempt organization with $200,000 or more in gross receipts and above $500,000 in total assets needs to file the Form 990 long form. Form 990-PF is an annual return for exempt and taxable private foundations, and nonexempt charitable trusts, to provide the IRS with fiscal information and other financial details. Express990 is the premier e-filing solution for tax exempt 990 Forms. Are you a small nonprofit? With the Express990 mobile app for iOS and Android devices, e-filing IRS Form 990-N (e-Postcard) for current or prior years can be done right from your phone. Don’t understand tax forms? Our easy to use interview style process makes filing your Form 990 simple. With Express990 there are no downloads required! Our cloud-based system lets you access your nonprofit returns right from anywhere right from your account. With our error check system we'll make sure there are no errors found in your return before you file. Our informative videos, blogs, and other helpful materials will make your e-filing experience easy. Need to correct your exempt organizations information from a prior IRS Form 990/990-EZ filing? We offer amended return support! Just make your changes and transmit directly to the IRS. Use our excel template to enter your contributions and donor details all at once. Finish the rest of your Form 990 while Express990 uploads your information in the background. Express990 simplifies the IRS Form 990 series with interview-style questions, unique features, step-by-step unstructions, and US-based support, the entire filing process is made easy!